It’s Sunday evening and it’s been a hectic day – in the nicest way, I mean. Garba last night was a great workout and it was lovely to see Samyuktha, my older daughter dancing with a few new friends from the community, with her hair flowing softly down her back (and legs). Our friend and protector, cabbage is indeed the leader of the stinky pack 😉 But I will reveal to you how not to stink up your kitchen as you cook this blighter! There are a few ways to prepare Cabbage and i will share them with you along the way – This one requires the services of a food processor. This dish takes about 12-20 minutes. 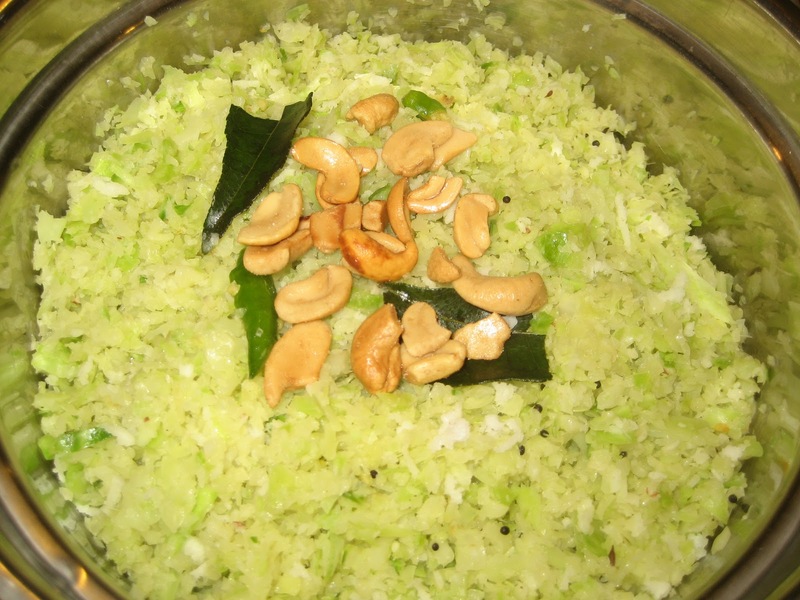 1/2 cup grated coconut, thawed(frozen pack available at Indian grocery store). If you are using dry coconut powder – sprinkle some water on it and let it soften. 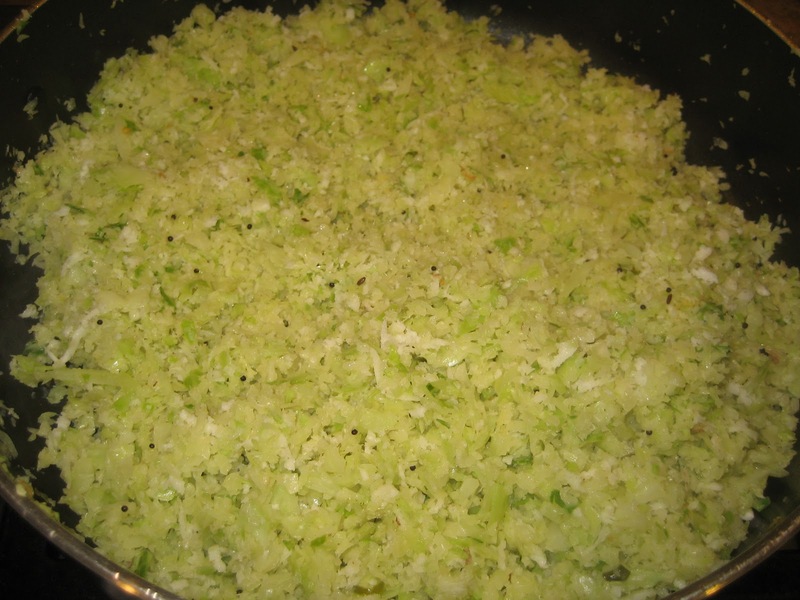 Heat your pan, pop the mustard seeds in the oil; then add the rest of the ingredients, before adding the cabbage. Hold off on the salting until the very end. The idea is to not let the cabbage get soggy. At high heat stir continuously – do not cover with a lid at any point. The cabbage should be slightly under cooked. 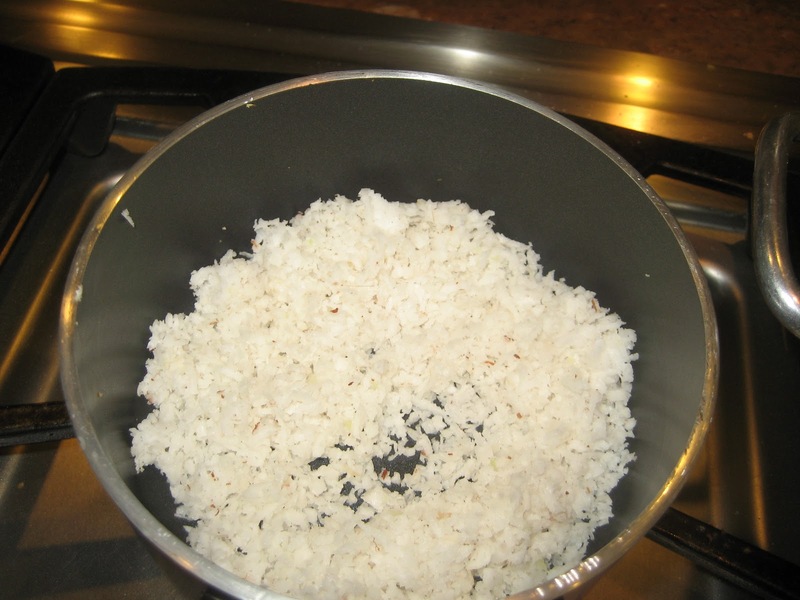 Just before removing from the pan, add the salt. As this is happening, in a smaller pan, dry fry the coconut until it turns slightly golden – add on to the cabbe and stir in gently.